FOR USE IN SCHOOLS AND LIBRARIES ONLY. 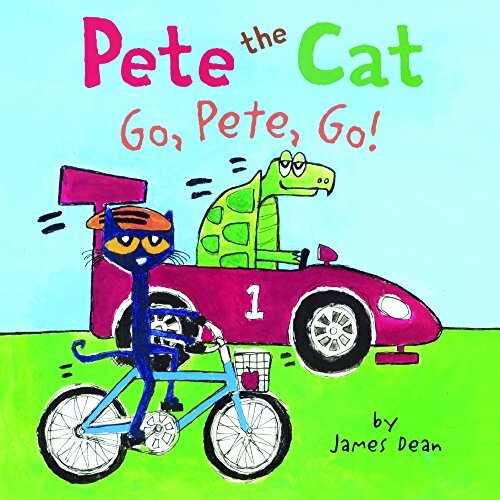 New York Times bestselling author-artist James Dean brings us a new Pete the Cat adventure, a special reimagining of The Tortoise and the Hare"" as a race between Pete and Turtle, in Pete the Cat: Go, Pete, Go! There's nothing Pete the Cat loves to do more on a sunny day than ring his little bell and pedal fast on his bicycle. But on this sunny day, Turtle wants to race someone in his new car. Vroom, vroom! Pete and his bicycle are up for the challenge! And when Pete crosses the finish line, he proves it's not where you're going that matters, it's how groovy of a time you have getting there!